A husband and wife fashion label; an ecologist-slash- restaurateur; a rubbish collector removing a hoard of trash and a personal trainer spruiking her business. These are all stories I’ve read in newspapers recently about small businesses. And there’s more: a baker giving away “royal” cupcakes; a developer commenting on Asian investment in Australia; a dairy farmer criticizing the government and a “chief storyteller” telling his story. So don’t assume your small businesses is too small to be newsworthy. On the contrary, your grassroots knowledge and ‘from the coalface’ views can be crucial to fleshing out a newsworthy issue. Take Rochelle Porteous and Kate Timmins for example. Both run homeless shelters for women that are at risk of closing due to a restructure of homelessness services in NSW. Their views on how the changes will impact desperate women strengthen and deepen the story. Dairy farmer Tyran Jones becomes a human face of the Australia-Japan Free Trade Deal, making the complex agreement more tangible to readers. And developer Michael Mai, who’s facilitating Asian property investment in Melbourne, isn’t afraid to weigh in to the overseas investment debate. So how can more small businesses capitalize on their inherent value to journalists? By understanding what makes them newsworthy, and approaching the right journalist, at the right time. In other words, don’t wait for the media to come to you. If you have a valid and little-heard opinion on a current issue, voice it. If you’re doing something new and novel, tell a reporter. If you have a great human interest story hiding behind your office walls, let it out. And if your business is flourishing because global events and the local economy have come together in perfect synergy, shout it from the rooftops. You’ll become very familiar with these values if you invest in media training, and they’ll act as a checklist for how newsworthy you are. The two advocates for homeless women talked about the IMPACT of restructuring homelessness services – that’s why they made the paper. The baker giving away royal cupcakes had TIMELINESS on her side, because she was doing it on the day that Kate, Wills and baby Prince George arrived in Sydney. The ecologist who runs a prize-winning, low carbon restaurant was featured because climate change is a CURRENT issue. The personal trainer talking up her business in her local paper was invited to do because of PROXIMITY. In other words, local papers like local stories. The chief storyteller at the Sydney Story Factory made the Careers section of the Sydney Morning Herald because his job is so NOVEL. The husband and wife fashion team provided a HUMAN INTEREST angle to Australian Fashion Week. And the developer aiding Chinese investment in Australian property adds to the inherent CONFLICT in the overseas investment debate. You’ll notice that PROMINENCE isn’t mentioned in the above list. And that’s exactly the point I’m trying to make. 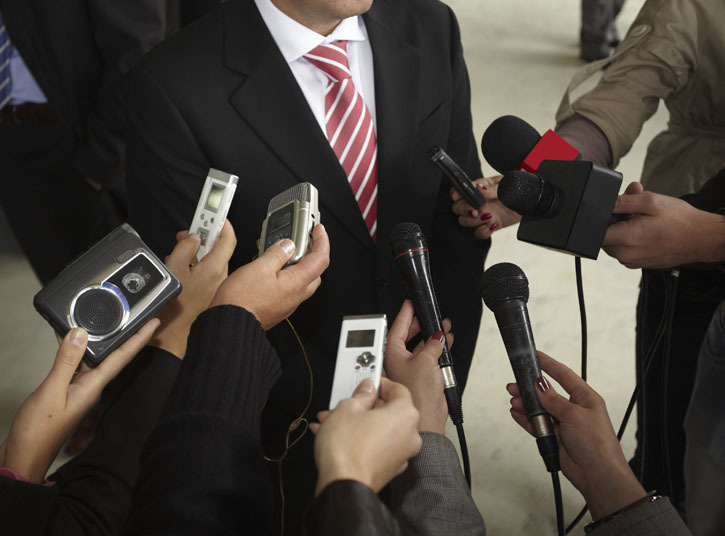 You don’t have to be a prominent person, a listed company, a famous face to be newsworthy. Sure, it helps, but it’s only one of many news values that journalists are always on the lookout for. So the take home message is: beef up your newsworthiness and don’t hide it under a bushel. Sure, you might get press coverage by accident – like the rubbish collector who removed the mounds of trash from the Bondi hoarder’s house. But George Taouk would have made himself more newsworthy – perhaps resulting in an actual quote in the article – had he provided more anecdotal evidence on the rise of hoarding in Australia, a CURRENT mental health issue. And make-up artist Cathy Neich, who runs novel mother-and-daughter make-up classes, would have appeared further up than page 18 of her local paper had she voiced a stronger opinion on the CURRENT issue of sexualisation of children. If you get media trained, you’re ready to grab that next opportunity to make news. It may not be a national newspaper or commercial TV news bulletin that follows up your story idea, but trade publications, specialist magazines, suburban newspapers, local radio stations and reporters specialising in your industry will always be grateful for the phone call. And you’ll be grateful for the free publicity.